If we’re friends over on Insta (and we totally should be! 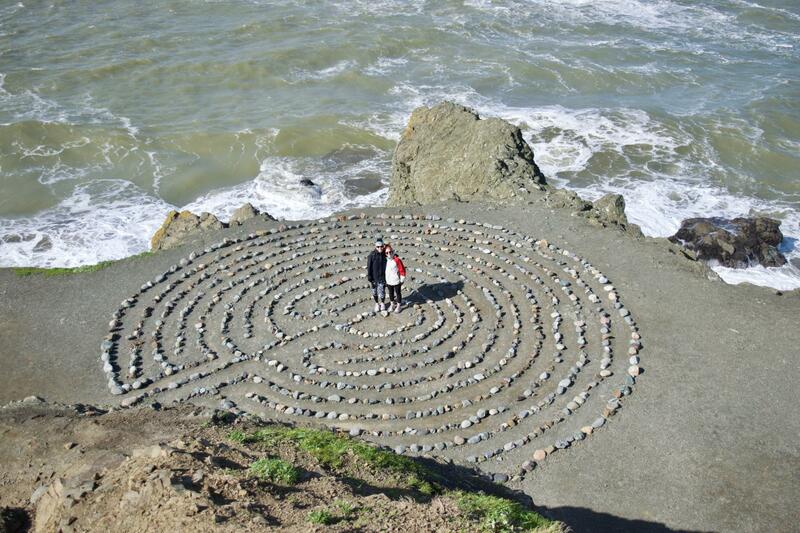 ), then you might know Eric and I recently spent a long weekend in San Francisco visiting some of our best friends. We’d both been before, so it was fun to spend time at some amazing local spots since we had visited the more touristy ones! On that note though – SF has some incredible touristy spots, and I highly reco them if you’re going for your first time! More on that later. 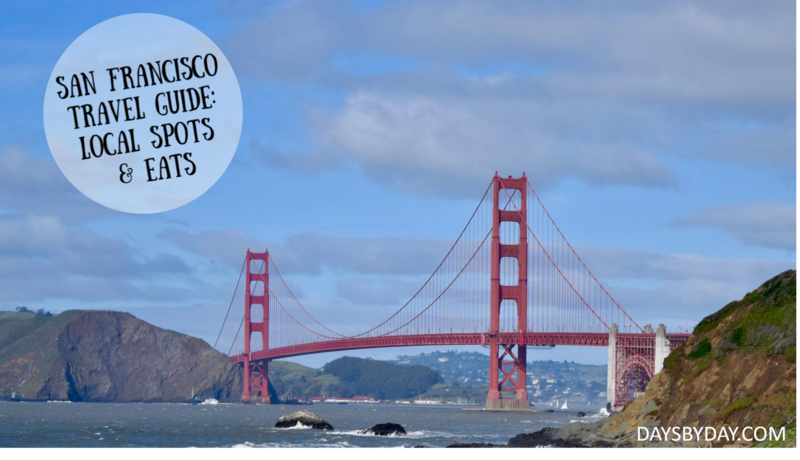 The trip was so wonderful, I just had to pull together a San Francisco travel guide to share all the local spots and delicious eats we hit up over three days! Ooo most of the b-e-a-utiful photos you’ll see throughout this post were snapped by my man! Eric has been playing around more and more with photography, and I think he’s got quite the knack for it. Those hills will get to ya, but walking around is so worth it! We stayed with a friend in Lower Haight, and definitely ubered when we were headed to a neighborhood on the other side of the city, like The Marina or North Beach. Other than that, once you’re in an area, it’s great to walk around and take in all in! 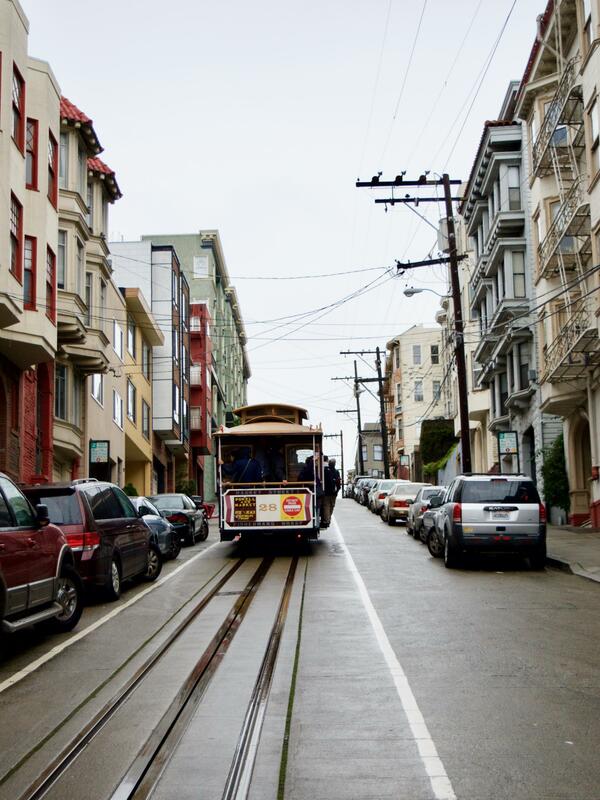 If it’s your first time to SF, I of course recommend taking a trolley ride! There’s also a bus and train system if you want other ways to get around. 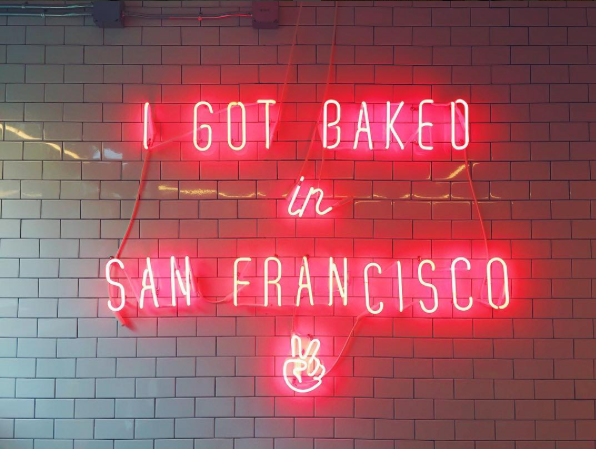 Mr. Holmes Bakehouse // ALERT THIS IS NOT A DRILL. 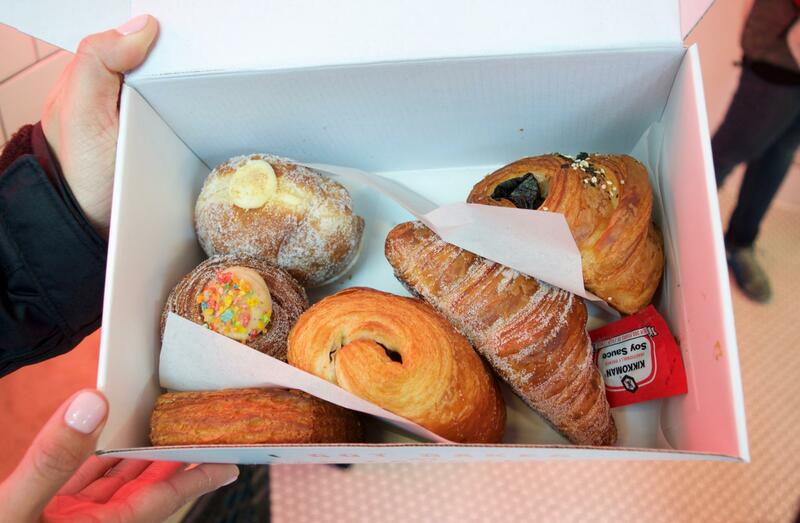 Mr. Holmes Bakehouse is real life croissant heaven. Apparently, there’s normally a line out the door on weekends, so go in the morning on a week day if possible. 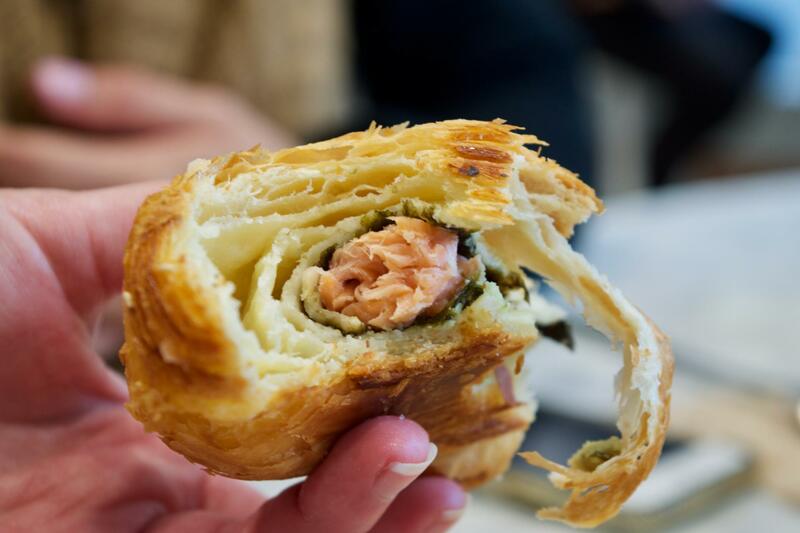 You must try the California Roll (think sushi inside a croissant instead of rice, soy sauce included) and the Cruffin (croissant + muffin, aka GOLD). 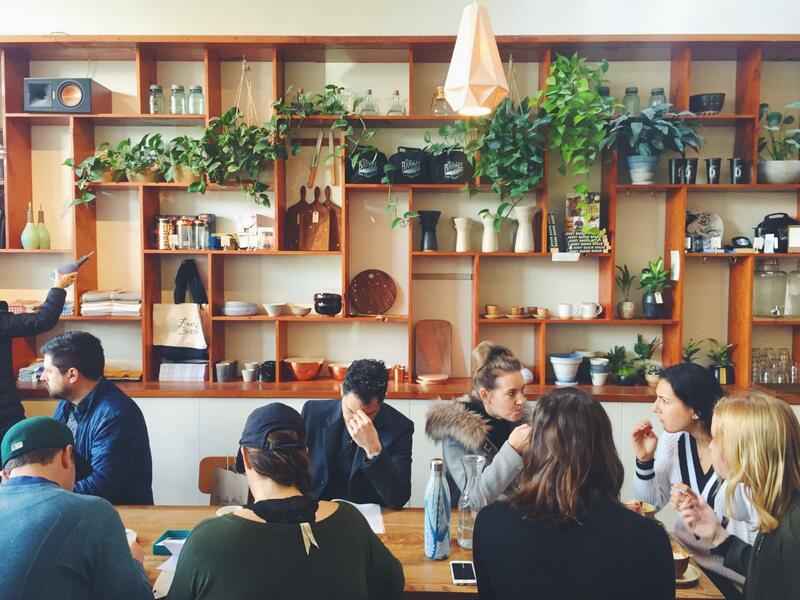 Blue Bottle Coffee + Phil’z Coffee // Two different shops to check out if you are coffee addicts like us – both big deals in SF. The inside of the Blue Bottle we visited in the Financial District was beautiful. This stuff is strong! 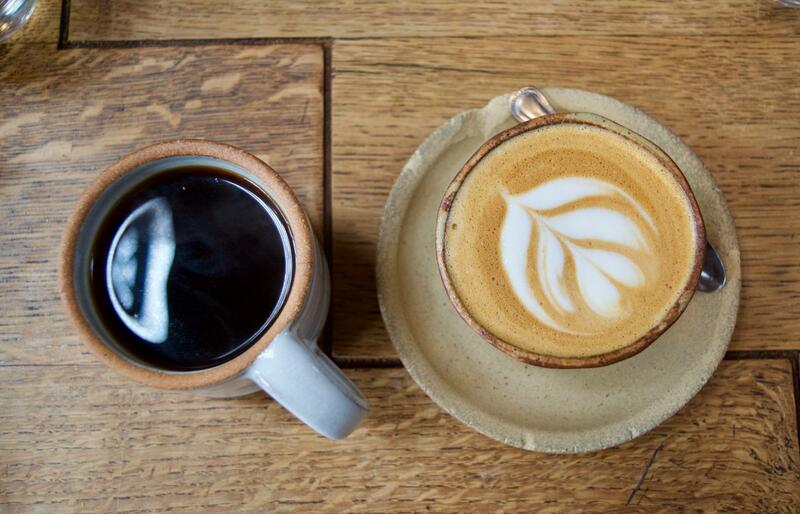 Phil’z is a laid back environment that serves drip coffee only. The iced mint mojito is a local fave! 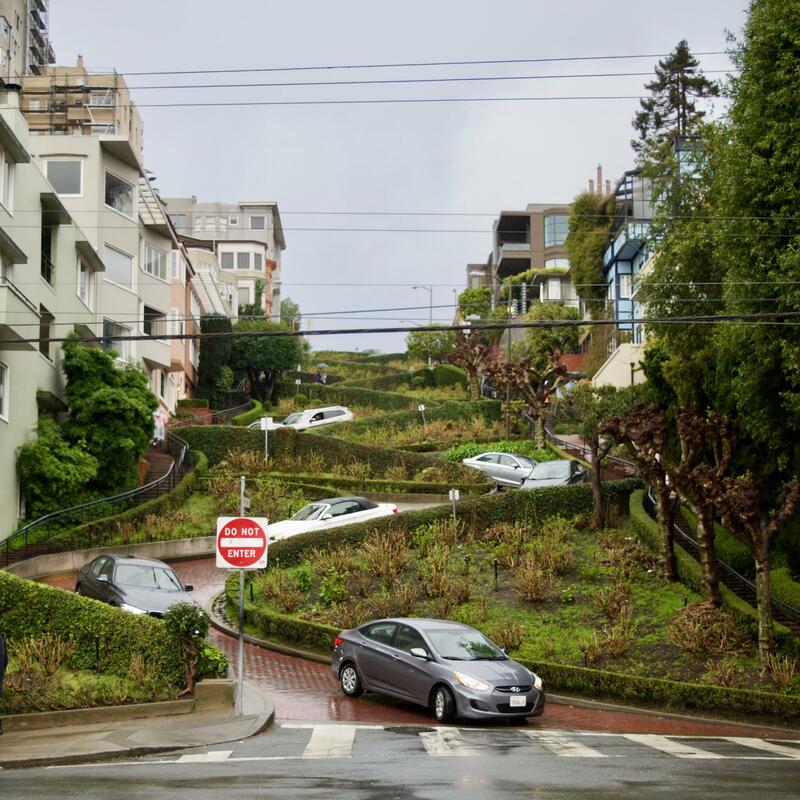 Lombard Street // The crookedest street in the world. A SF must in the Russian Hill neighborhood that’s always fun to walk through. Coit Tower // This 210 foot tower is a recognizable part of the San Fran skyline and complete with an observation deck on top. Even if you don’t pay to go up, you can see pretty views from the area just outside! 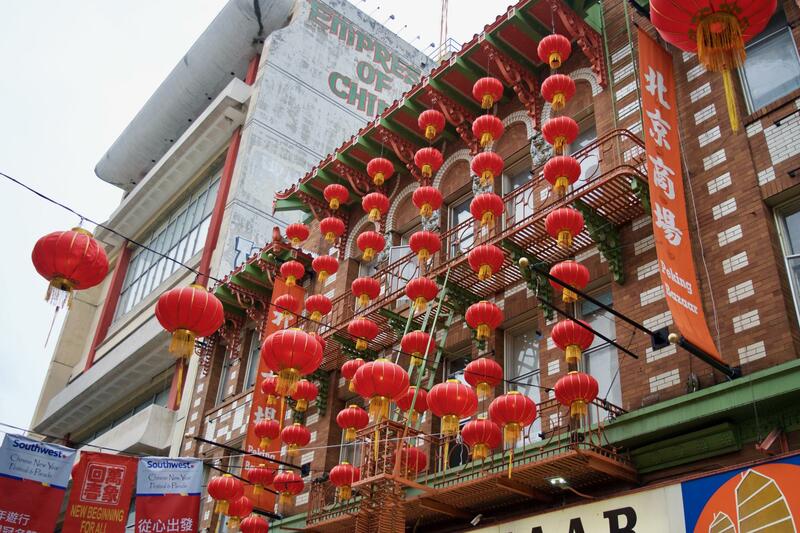 Chinatown // We loved walking through here! 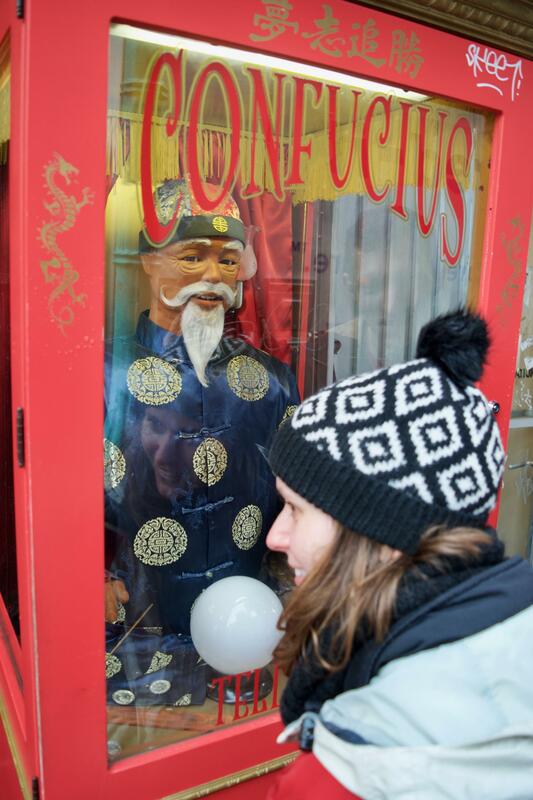 Fun fact: it’s the largest Chinatown outside of Asia. 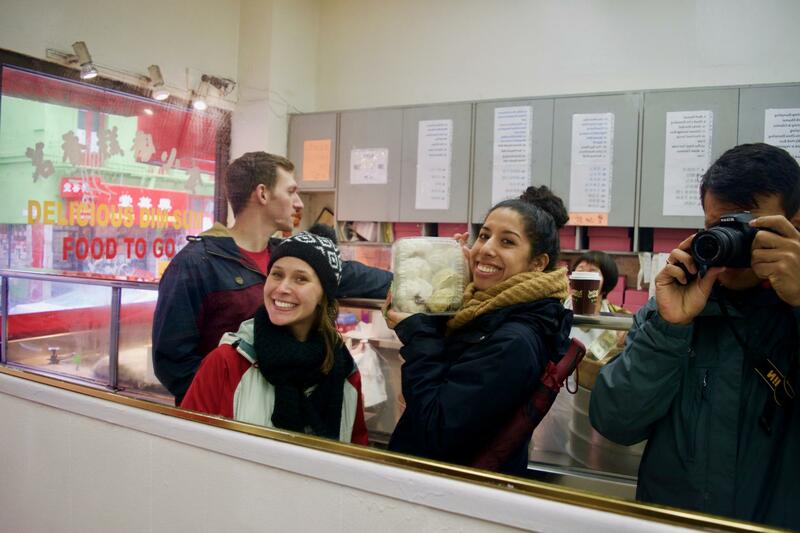 Popping into the crazy shops is fun, and you can’t leave without some Dim Sum. Side note – it rained all day on Friday, and drizzled the rest of the weekend…so you’ll notice my hair is forever a bun, but my point is rain ain’t got nothing on your fun!! 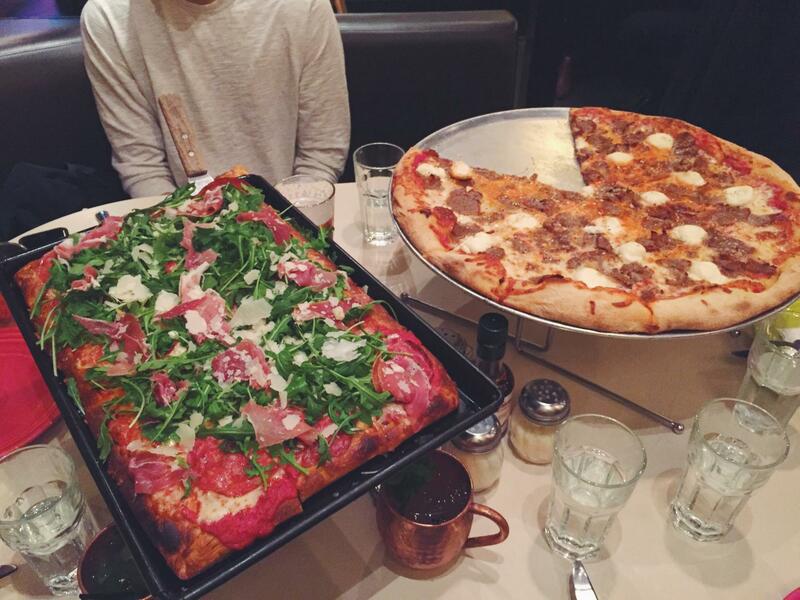 Tony’s Pizza // Our friends raved about this being known as the best pizza in the city and we 100% believe them. It was AMAZING. The menu offers a variety of pizza styles, from NY to Sicilian. 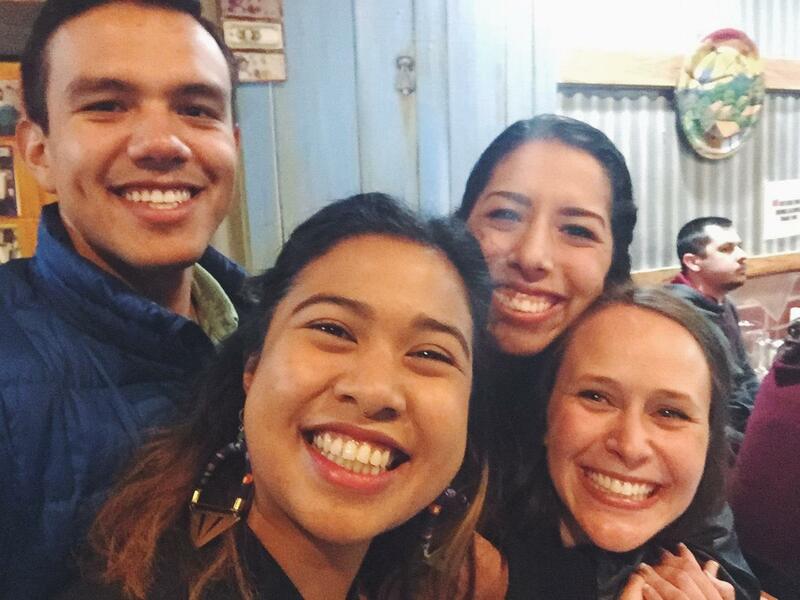 Be prepared to wait a couple hours – we hung out at a nearby bar and played cards! Tupelo // A lively, yet chill bar with live music every night! Tony’s Pizza and Tupelo are both in the North Beach neighborhood, so this is an easy place to walk to after dinner. 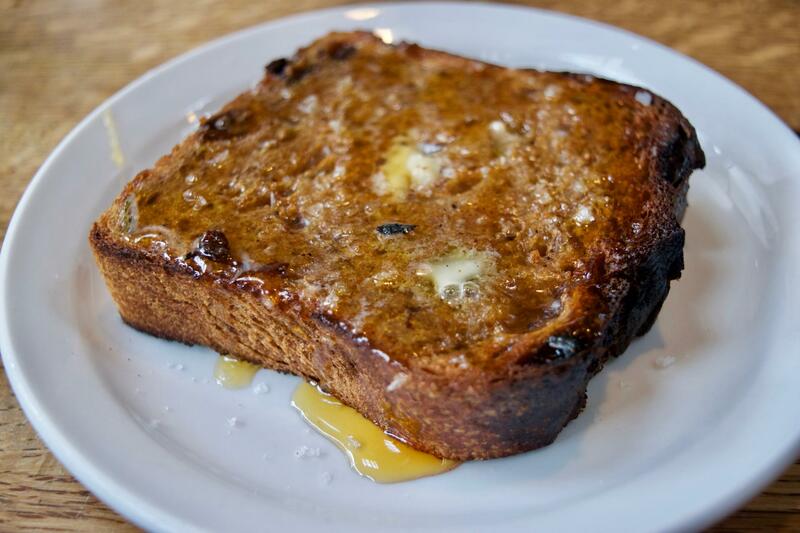 The Mill // This goldmine serves up gourmet toast and amazing coffee in Lower Haight. To top it off, they have the most beautiful table wear and the interior design is straight out of my dream home! Everything tasted so fresh. The Mill even has pizza night. A must for any local or visitor! 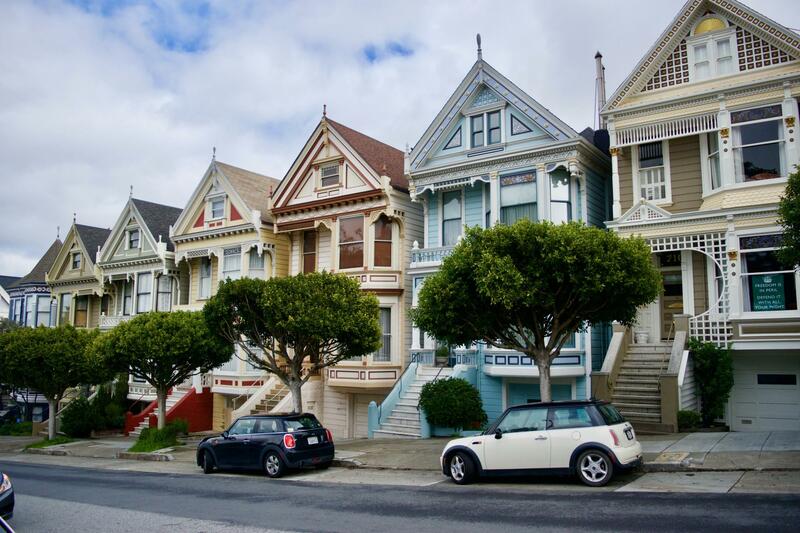 The Painted Ladies // You’ll easily recognize these beauties! This popular row of pretty houses was a quick walk from The Mill. A tourist must. Lands End // This park was about a 30 minute uber from SF, but not expensive at all when split between friends. 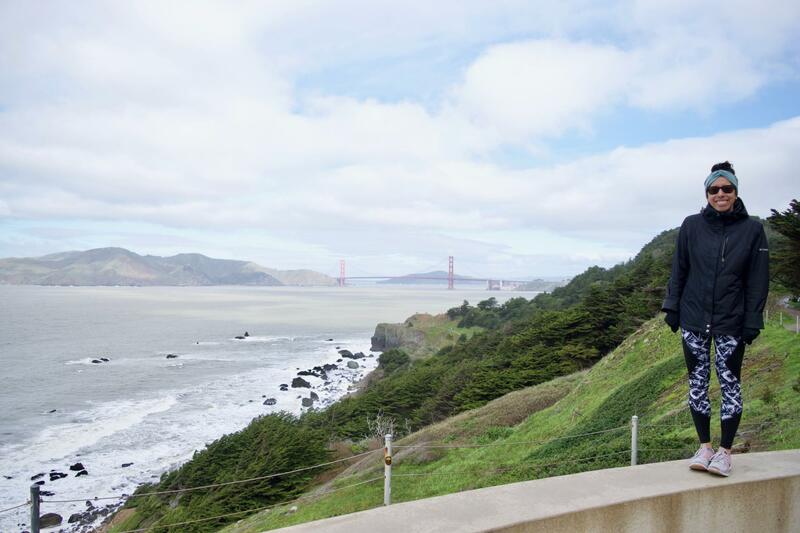 You get gorgeous views of the famous Golden Gate bridge and a whole lotta fresh air. We began at a lookout point and then walked along the water towards downtown. Part of the route somehow took us through a shwanky neighborhood, where we swooned over the magnificent homes. 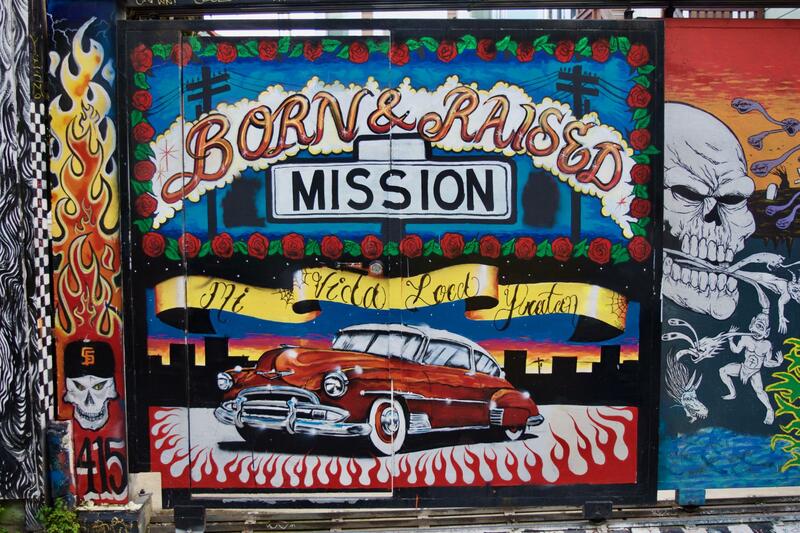 At the end of it all, we took another uber to The Mission. 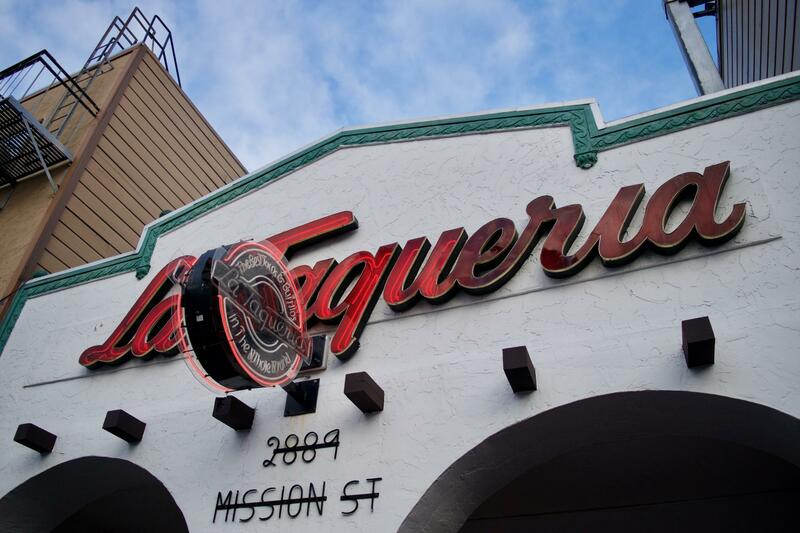 La Taqueria // This spot in SF’s Mission neighborhood claims to have the best the best tacos and burritos in the whole world. I can confidently say it’s one of the best I’ve ever had…and this Texas girl has had a lot of tacos in her life. Completely worth the wait. Clarion Alley // An easy walk from La Taqueria, this street is full of unique graffiti murals and is actually apart of a protected public art project. It’s a great spot to soak in the culture, and of course snap a pretty Insta. 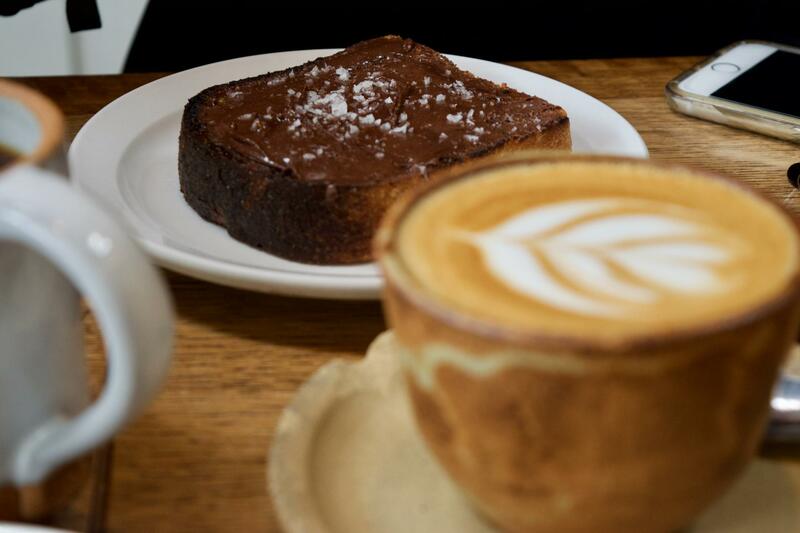 Bi-Rite Creamery // The perfect spot for an afternoon treat! 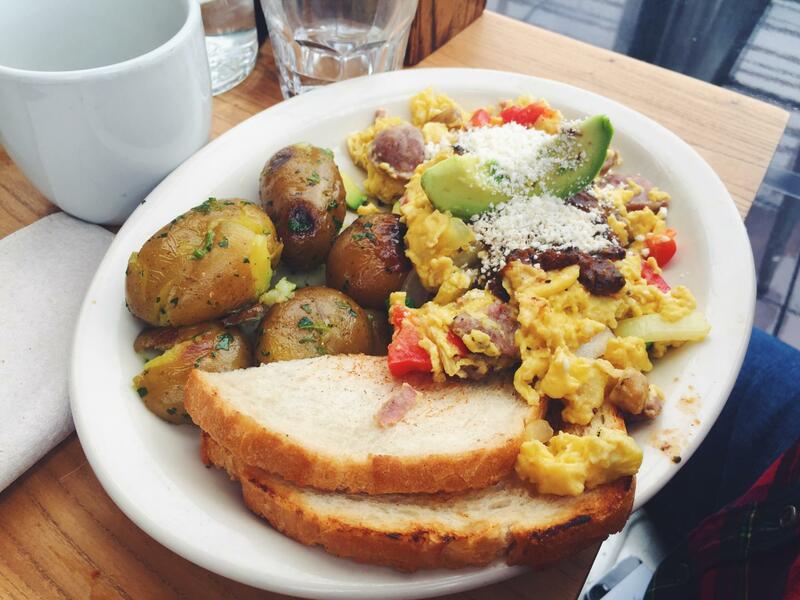 They’ve got unique flavors, along with plenty of classics, all full of local and organic ingredients. This ice cream shop is tied to SF’s Bi-Rite Market, which has been around since the 1940s. 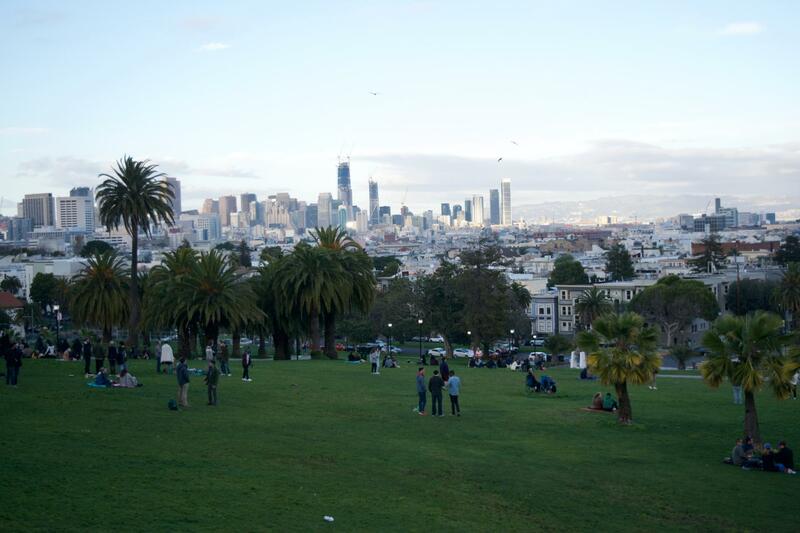 Delores Park // This spot is one of the city’s most popular destinations – and full of picnics, pups, and pretty skyline views. We went on a day that was a little breezy and cloudy, but on a sunny day the park is poppin’ and you can even buy a rum-filled coconut off a local vendor! 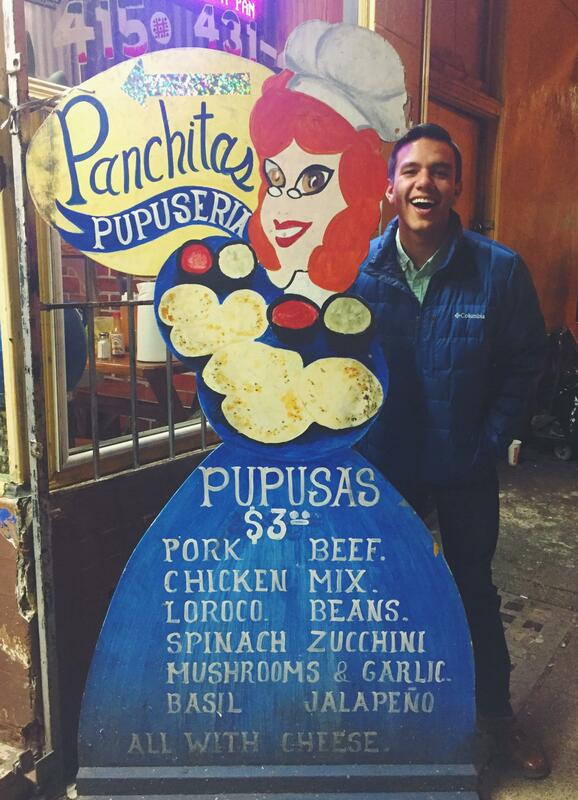 Panchitas // I learned what a pupusa was on this trip and they are YUM. We grabbed Panchitas in The Mission for an inexpensive, high-quality dinner. Interested in authentic Salvadorian food? This is your spot. Blondie’s Bar // Where we spent the majority of Saturday night dancing away and sipping giant martinis! Seriously giant. The DJ was awesome. I would’ve dragged everyone back for a second night if we weren’t flying home. Tip: Cash only, bring $5 for cover. And go! That’s my other tip. 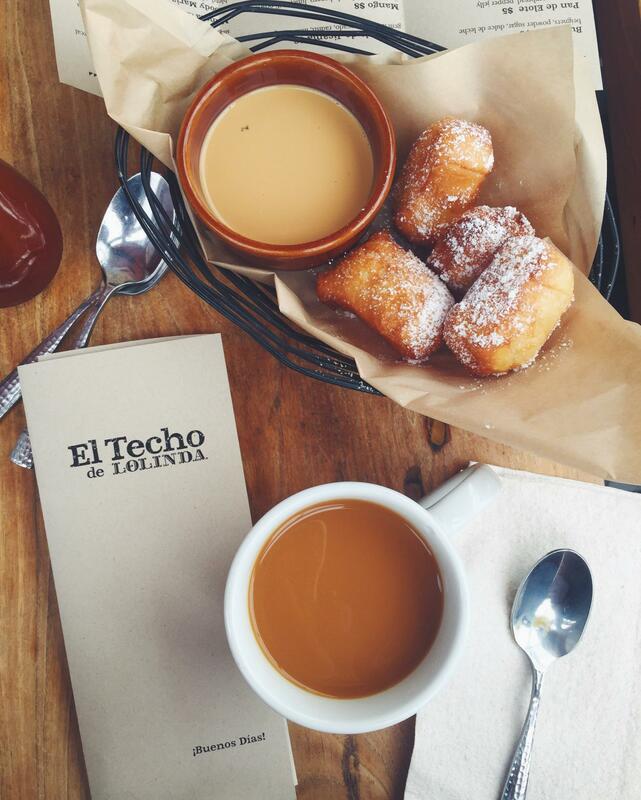 El Techo // This rooftop spot serves up delicious upscale versions of classic Mexican breakfast dishes. The setting is beautiful, and they had heaters that kept us warm on the chilly morning! You must try the buñuelos. Tartine Bakery // Tartine is a cute bakery and cafe with lots of tasty treats. There’s a line out the door to back up any hype you might hear. The morning bun and banana cream tart were our favorites! The Marina // We loved walking around this pretty area. 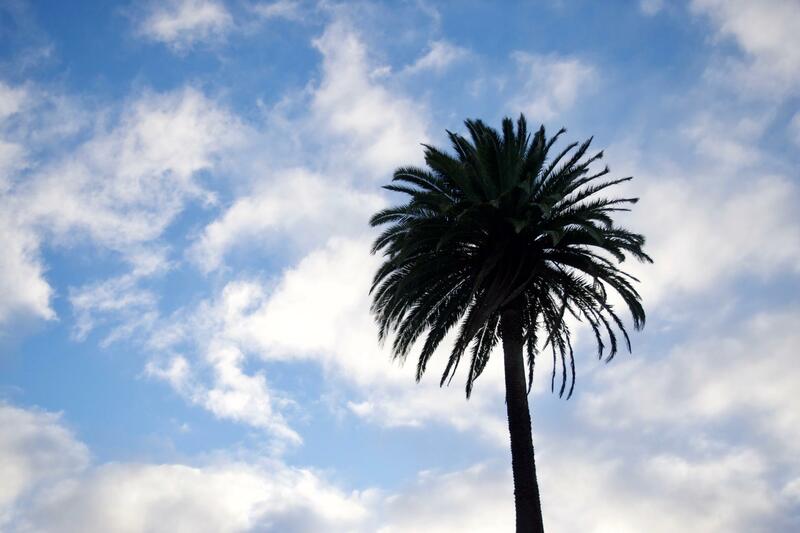 There are plenty of bars, restaurants, and local shops to pop into, and great views of the Bay. Remember I mentioned we would come back to some touristy spots later? Some good ones in this area you should consider if it’s your first SF trip: Ghirardelli Square, Pier 39, and the Palace of Fine Arts. Waraku // We finished off our weekend with a walk through Japantown (much smaller than Chinatown) and a bowl of delicious ramen at Waraku. 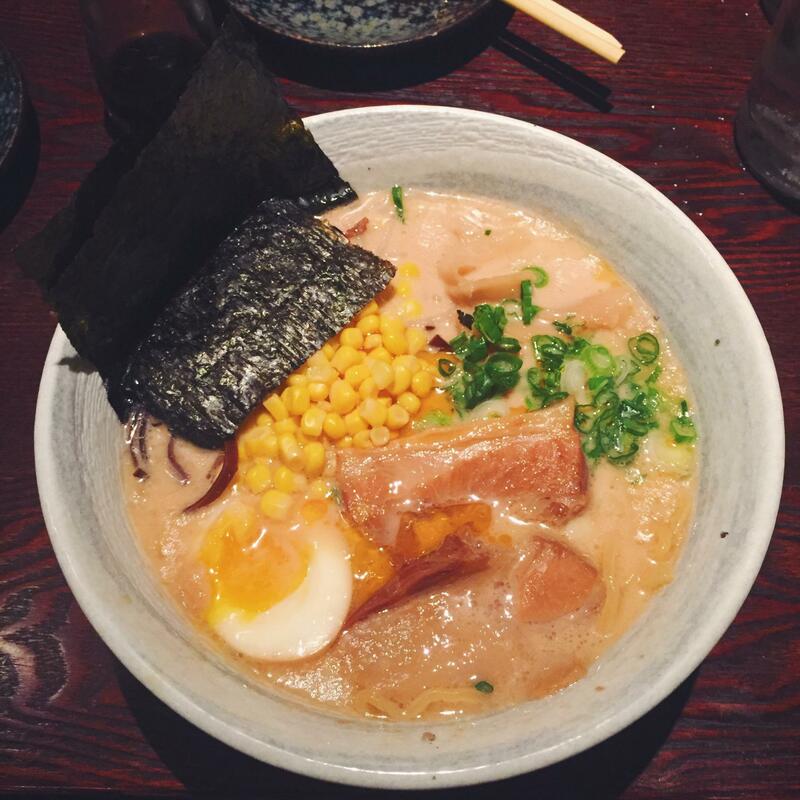 This spot is ranked to have some of the best ramen in the city and the staff was wonderful! A great space for both, a large group or just a couple. Of course, I can’t go without mentioning the Golden Gate Bridge. The first time my family visited San Fran, we biked across and spent the afternoon at the cute town Sausalito on the other side. Whether you walk, run, or bike – it is an SF must! Needless to say, E and I had an incredible time on this trip (thanks Mel, Theo, & Rach!). 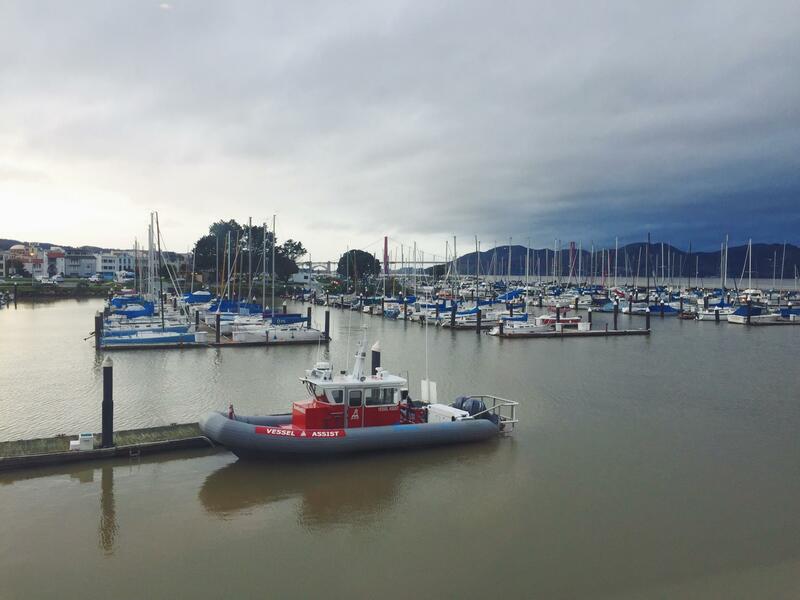 Hope this San Francisco travel guide is helpful in any upcoming visit you might be planning! Got spots we need to check out next time? Please share! I haven’t been to San Francisco since I was a kid and now you have me SO wanting to go back as an adult! It looks like SO much fun! This is great! We are actually going to SF for a quick trip in May, so I will definitely be sure to check some of these places out. This was so helpful, thank you for sharing! I love love loveee your photos!! 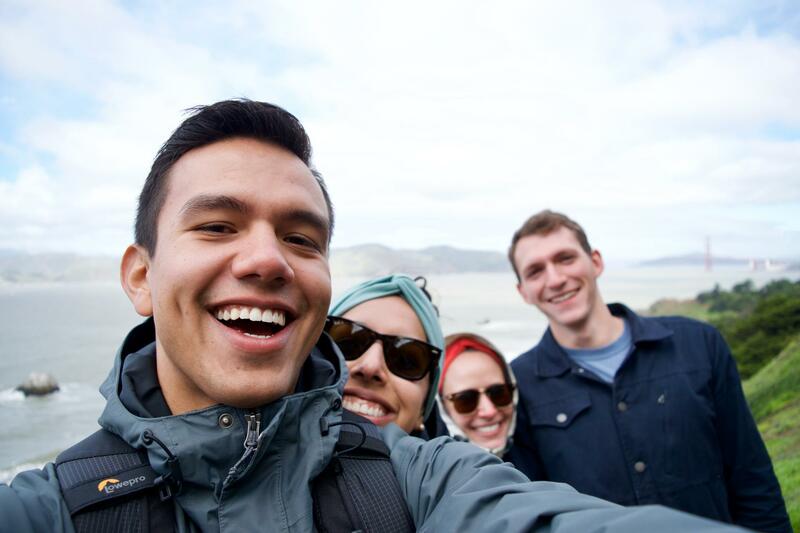 This post makes me want to go to SF even more than I already do! Love it! Great photos and selection! That food looks delicious! 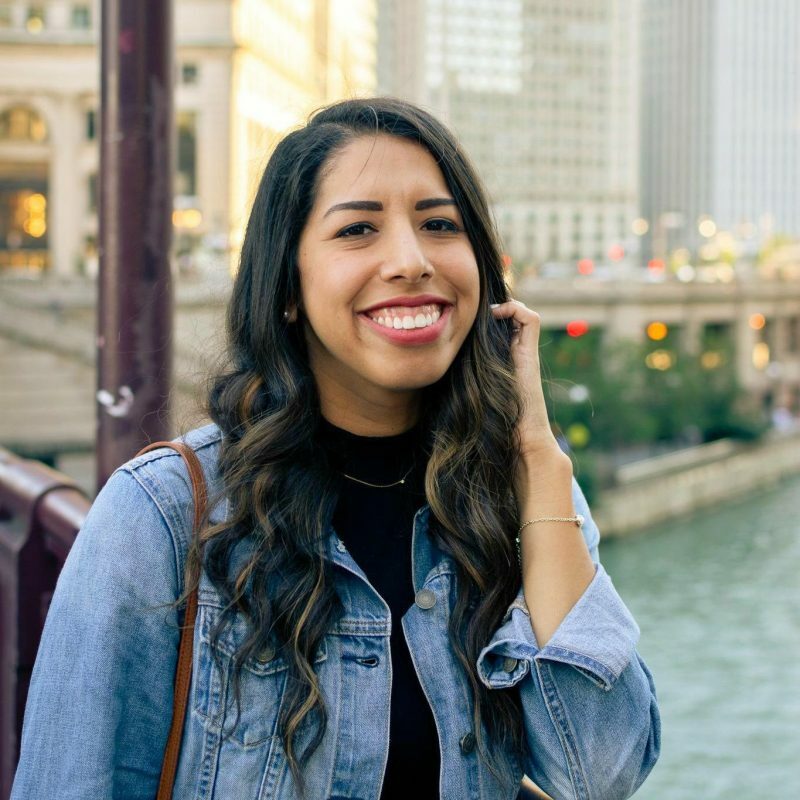 Great city guide overall! It looks like you all had a blast! And the pictures!!! OMG! So professional !